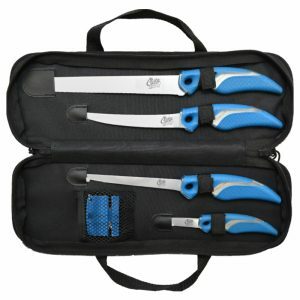 This 6 piece set includes 4 knives, a knife sharpener and a convenient ballistic nylon storage and carry case. 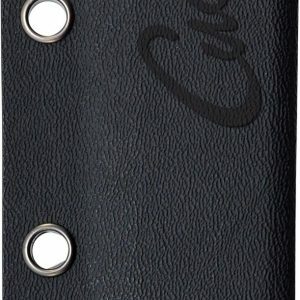 Great for gift-giving and for keeping your knives safe and clean. 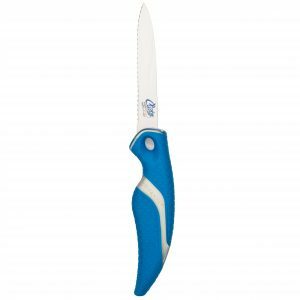 Flexible blade for filleting. 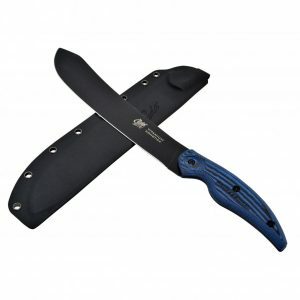 6″ Titanium Bonded 4116 German Stainless Steel blade. 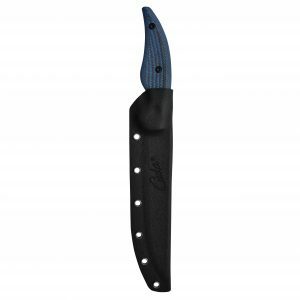 The durable full tang construction is visible through the Cuda scale pattern, non-slip handle. 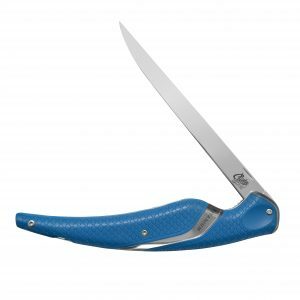 The Cuda 6″ Curved Boning Knife features a Titanium Bonded, 4116 German Stainless Steel blade that is corrosion resistant and will stay sharper for a longer period of time. 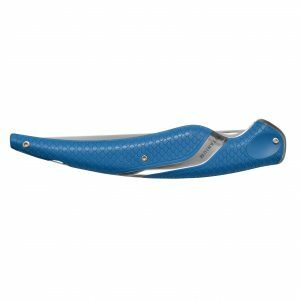 Knife handle is Cuda scale pattern, non-slip grip. 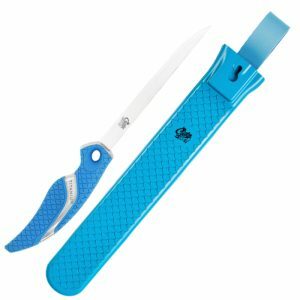 The knife has durable full tang construction which is visible through the handle. 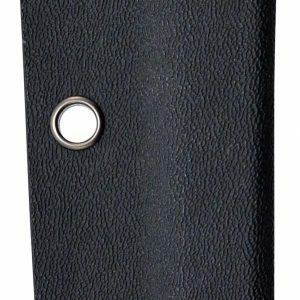 Precision ground blade edge. 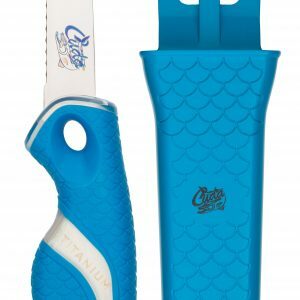 Cuda 2 piece set includes a 6″ Flexible Fillet Knife with Titanium Bonded Blade and the Cuda ultra light Fisherman’s Sheath. 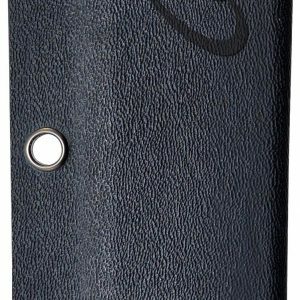 Sheath features a water drain system and a reversible loop for left or right fit. 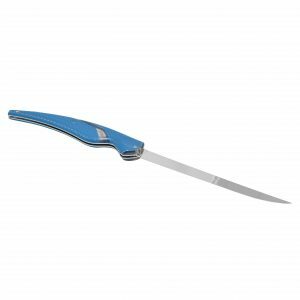 Fillet knife has full tang construction and Cuda scale pattern, non-slip handle. 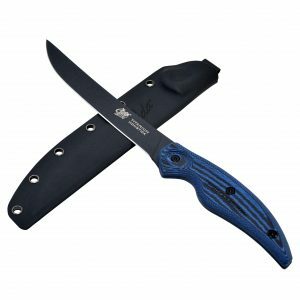 This knife folds for safety and storage and features a 6.5″ fillet blade with the perfect amount of flex. 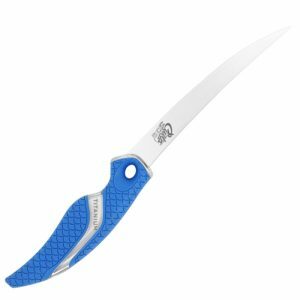 Full tang construction and a liner lock. 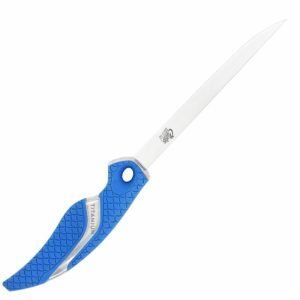 The blade is German 4116 Titanium Bonded Stainless Steel so it will stay sharp and resist corrosion. 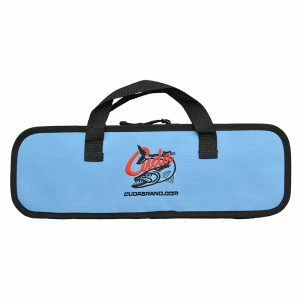 The Cuda scale pattern handle channels water to provide a secure grip. Lifetime Warranty.